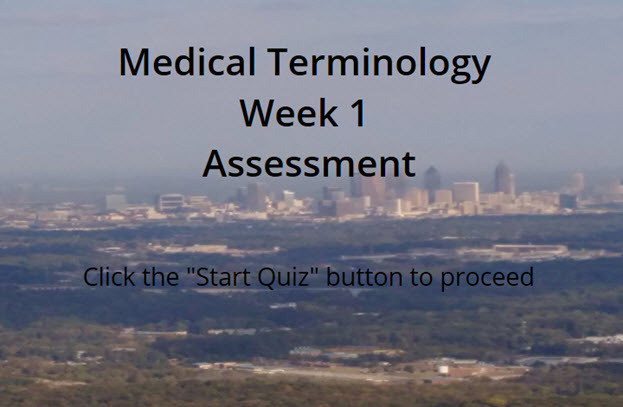 This course is designed to identify medical terms and words by their components parts such as prefixes, word root and suffixes. Define the body structure and its, cavities, planes, and positions. 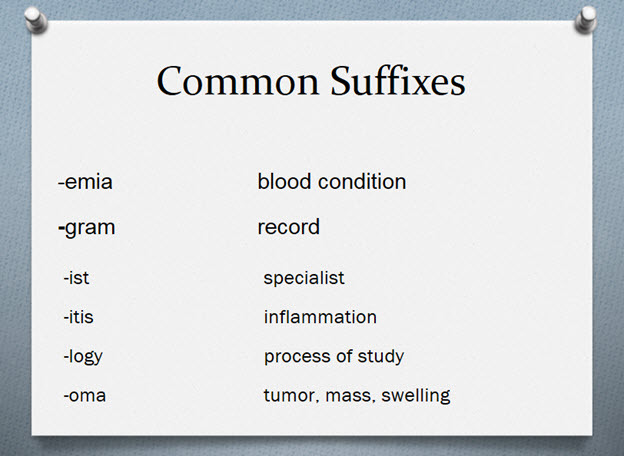 Just to let you know, following, in no particular order, are frequently used word beginnings (prefixes) and word endings (suffixes) used to make up many medical terms. 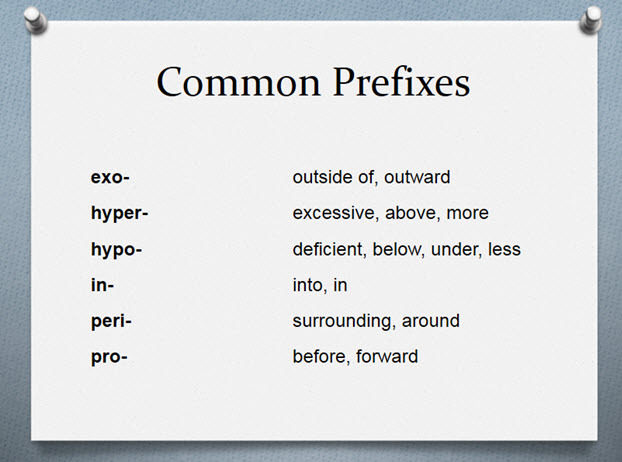 You don’t need to memorize whether an item is a prefix or suffix, or even if it is a word root, just what it means! We know this is all “Greek” to you (and some of it really is! ), but there will be so much reinforcement as we go along that you can’t help but remember meanings. 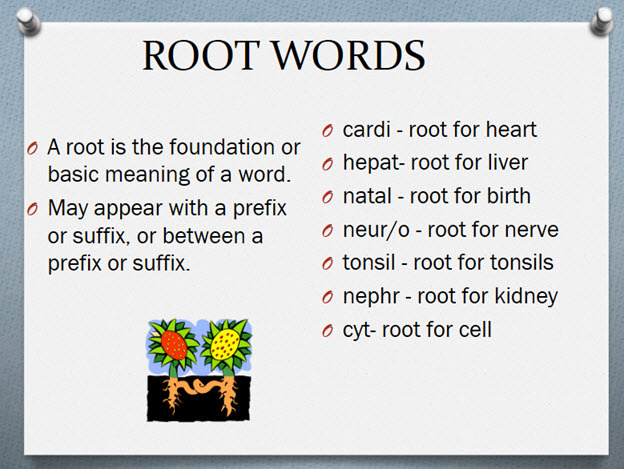 Be patient with yourself and let us at Infinity HIM School teach you some Medical Terminology!